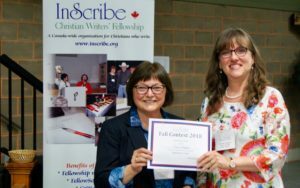 InScribe Christian Writers’ Fellowship held its annual Fall conference way back on September 19 to 21 – and here I am, finally getting around to writing about it! Suffice to say, I’ve had too many irons in my proverbial fire, not the least of which include getting my bearings as the organization’s new president. Excuses aside, here are some highlights. 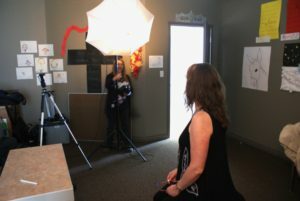 We had a makeup artist and professional photographer on hand to do head shots for those who wished to have them taken. Here I am getting my ‘shot in the dark’. 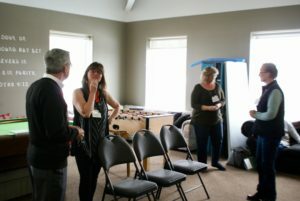 I facilitated a workshop on using improvisation to improve and enhance one’s writing. As a Drama teacher for almost twenty years, I have a lot of experience and have found that ‘improv’ has many creative and inspirational uses beyond preparing actors for the stage. Here I am in a scene with fellow attendees, just ‘Acting Up’. 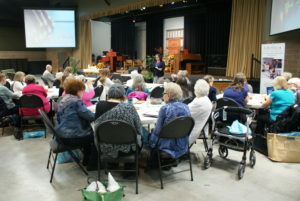 Attendees had the opportunity to read a short selection of their work at the Thursday evening Author Mixer. Then on Friday, we also had a chance to deliver short ‘elevator pitches’ to the audience based on a recently published titles. As I already mentioned, I became president of InScribe following the AGM. I have been so blessed by this organization in the eight years that I have been a member. 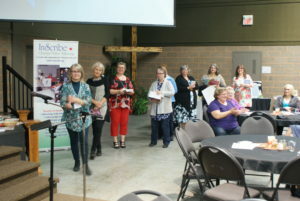 InScribe has members from almost every province in Canada, and I am honoured to be a part and glad to give back. There will be lots to learn, I am sure, but I am up for the challenge. Here I had the privilege of handing out contest winning certificates. 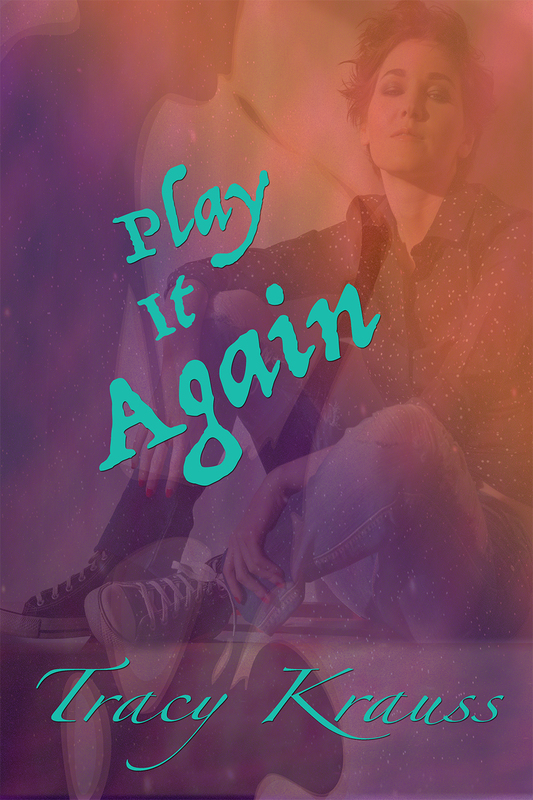 It sounds like you had quite a time!